Why is my background image being scaled? Can I use a high resolution image? Bigger background images are automatically downscaled to a resolution of 1920x1080 at the upload. If you want to use larger background images (e.g. 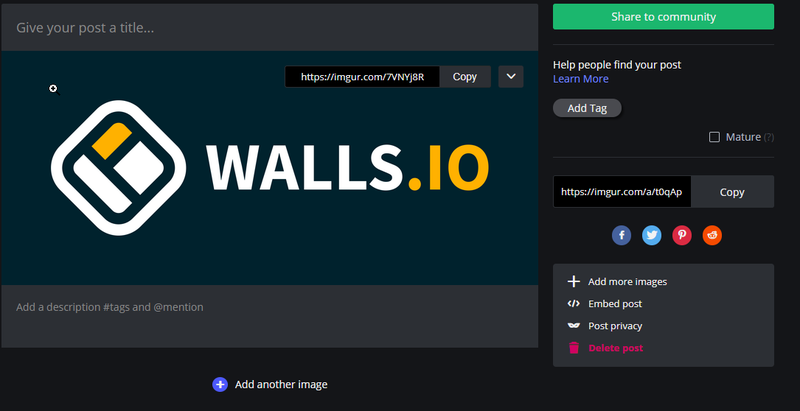 for 4k displays) upload the image you want to use to an image hoster (for example https://imgur.com) and enter the direct URL to the image into the background-image field on Walls.io. Click on the image with the right mouse button and choose "open in a new window". Copy the URL of the new window. If done right, the URL should end with ".png", ".jpg" or ".jpeg".